Cantigny Park is the former estate of Colonel Robert R. McCormick, longtime editor and publisher of the Chicago Tribune. Covering an expansive 500-acres in Wheaton, Illinois, the Colonel left his estate as a gift to the public upon his death in 1955. The park is home to 30 acres of spectacular gardens, the Robert R. McCormick Museum, the First Division Museum, and a 27-hole championship golf course–all of which are part of the Chicago-based McCormick Foundation. 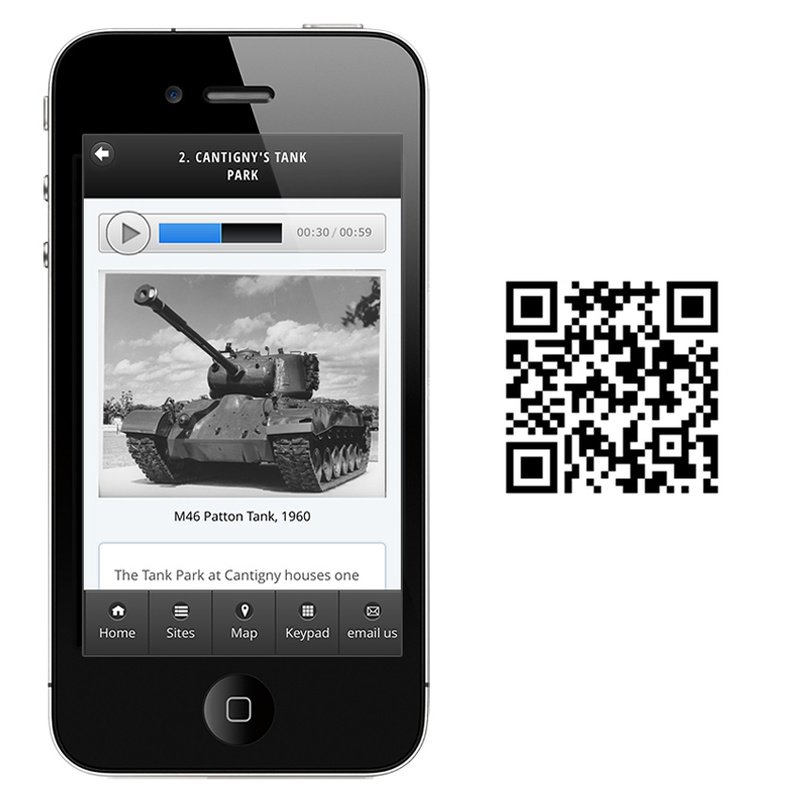 Cantigny Park created their first audio tour with OnCell in the spring of 2010 and have recently relaunched it as a multilingual tour app built with our new app builder. Q. How many visitors do you see a year? A. Cantigny Park welcomed more than 363,000 visitors in 2014. Q. What was the main goal for creating your app? A. Our grounds are vast, so we wanted to give our visitors a self-guided tool to answer a variety of questions about things they encounter here. Our stops include background information on the gardens, historic site information, historic images, seasonal images, and audio. Q. How does the app enhance the visitor experience? A. Visitors can learn more about specific points of interest on our property right on the spot. For example, visitors to the rose garden can see an image of the Chicago Peace Rose, a flower discovered in our gardens, even if the plant is not blooming. While walking through the Idea Garden they can listen to tips on how to attract butterflies to their own gardens. Q. Can you tell us a little about how you created the audio content? A. Our initial project in 2010 was a simple cell phone tour. We assembled a staff team to decide on initial stops and provide background information to the person chosen to write initial content. Members of each department edited stops related to their areas. We recorded audio in house. Our goal was to keep each stop to under 125 words, although some go as long as 150. This tended to keep the audio to under 1 minute. With the migration to the new builder, we’ve taken the opportunity to edit some tour stops we thought weren’t working well. Our Client Account Manager at OnCell let us know what percent of a stop most visitors listened to so we knew if most people listened all the way through or not. Longer stops were shortened and we re-recorded the audio. We added a few photos to the OnCell tour and made plans to translate the audio to Spanish. We just finished uploading new Spanish audio and text and are still translating photo captions. Q. What advice would you give to other organizations who are looking to create a tour? A. Start by making a logic map of your tour stops. Our stops don’t follow a linear map of our site because we’re an outdoor site where visitors may choose many different paths. Instead we created links between stops of similar content hoping this encourages visitors to seek out other spots on our grounds. While the stops may be located in different areas, we hope this encourages visitors to explore other spaces. Q. What benefits do you see from migrating your tour to the TourSphere platform? A. The new platform is very easy to use and allows us to add photo captions, create easy links to other stops, and it was pretty straightforward to offer a Spanish version of our tour.